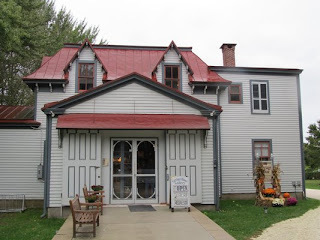 Weekend Historical Happenings: 1/19/13 - 1/20/13 ~ The History Girl! "Celebrating Community Service: Black Fraternal, Social and Civic Organizations of Cape May County" will be on exhibit at the Carriage House Gallery at the Physick Estate in Cape May beginning Saturday. This exhibit will explore the significance of black fraternal, social, and civic organizations in African American social life. Because the African American community is often ignored by mainstream organizations, the Busy Bees, Sea Gals, Masons, Eastern Stars, Elks, the Black USO and CCA - to name a few - have emerged with the sole purpose of enhancing the lives of African Americans. In addition, black organizations can serve specific needs that only pertain to African American families. Hundreds exist nationwide with local chapters in cities and towns. The focus of this exhibit will be the black organizations of Cape May County. The exhibit is open Saturdays, January 19 - February 9 and February 23, 11:30 am to 2:00 pm; Saturday, February 16, 11:00 am to 3:30 pm; Sunday, February 17, 11:00 am to 2:15 pm and 4:00 pm to 6:00 pm; and Monday, February 18, 11:00 am to 1:00 pm. Admission is free. The gallery is located at 1048 Washington Street Cape May, NJ 08204. For more information call 609-884-5404 or visit www.capemaymac.org. Stories to share? You can share stories about life in “back in the day” when Bayshore Discovery Project hosts a storytelling session on the businesses, houses and characters of Bivalve. Come and share a story, anecdote, recollection or photo about Bivalve from your lifetime. Tell a story from your family, or come listen and learn. Join the Bayshore Discovery Project from 2:00 - 4:00 pm on Saturday at the Bivalve Shipping Sheds, 2800 High St., Port Norris. The information collected will be used for exhibits, research and education purposes as part of the Delaware Bay Museum and Folklife Center. This event will be recorded as part of Bayshore Discovery Project’s oral history project. For information, call 856-785-2060 or e-mail info@bayshorediscovery.org. Timed to coincide with the beginning of the much-anticipated third season of the smash hit "Downton Abbey," come celebrate this momentous occasion by steeping back in time and experiencing a New Year's Brunch at Liberty Hall Museum where you will dine like the Crawley family themselves! Admission is $60.00 per couple, which includes a buffet brunch, party favors and a champagne toast. The brunch will be head between 12:00 noon and 3:00 pm. Reservations are required. Please call 908-527-0400. Liberty Hall Museum is located at 1003 Morris Ave, Union, NJ 07083. 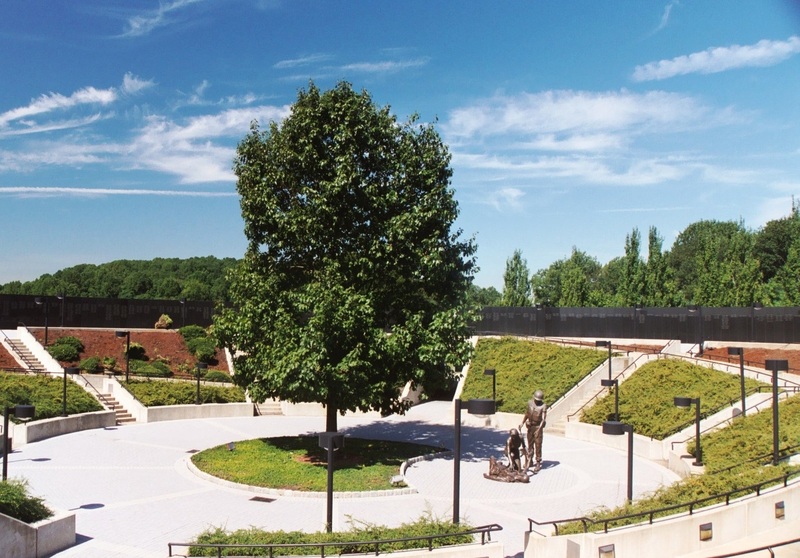 Visit www.kean.edu/libertyhall for more information. Currently at Liberty Hall is the exhibit "Ring for Service: The Role of Servants in a Country House." This exhibit is open until August 31, 2013. Ifyou love the hit PBS Show "Downton Abbey," step into the real thing at Liberty Hall. Tours of the museum will show a typical day in the life of the servants. In the 1900s, the Kean family lived in a world where their every whim was met by the ringing of the servant's bell. The museum has been reinterpreted to highlight the places where the servants worked, slept and spent their leisure time. To visit this exhibit between January and March, it is by reservation only. $10 for adults, $8 for Kean Alumni, $6 for Seniors and Children, Kean students, faculty and children under 3 are free. On Saturday at 2:00 pm, the New Jersey Vietnam Veterans' Memorial Foundation will host Dr. Saul Broudy as he presents his musical program and lecture titled "Oh You Saigon Girls, Can't You Dance the Polka? - Folksongs of Americans in the Vietnam War." The program will be held at the Vietnam Era Museum & Educational Center, exit 116 off the Garden State Parkway. Dr. Broudy will sing many of the helicopter pilots' songs in his repertoire, and will talk about the role songs and other folklore played in military life in Vietnam and how they reflect everyday life "in country." Be aware that most of them deal with adult themes, and should be considered "PG-rated." Dr. Broudy served with the US Army Quartermaster Corps in Vietnam in 1966-1967. While there, Broudy befriended helicopter pilots, through whom he discovered a widespread tradition of Army Aviation folksong - songs written by and generally known among the pilots. He collected songbooks and tapes from them, and this tradition became the subject of his MA work in folklore at the University of Pennsylvania. Dr. Broudy has performed for over 40 years all over North America, and throughout Europe, Australia, New Zealand, and the Middle-East. Dr. Broudy accompanies his singing on guitar, but is perhaps best-known as a harmonica player, having worked and recorded with such artists as Steve Goodman, Loudon Wainwright, Jim Ringer, Utah Phillips, Mick Moloney and numerous others. Dr. Broudy's music covers a wide range of grassroots American genres, from traditional ballads to bluegrass, country, blues, cajun, and rockabilly. He holds a PhD degree in folklore from the University of Pennsylvania, and his shows aim to inform as well as entertain. Admission to the program is included with general Museum admission and is open to the general public. 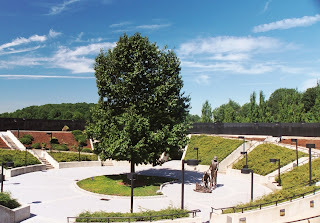 The Museum is located adjacent to the New Jersey Vietnam Veterans' Memorial off the Garden State Parkway at exit 116 in Holmdel, N.J. (on the grounds of the PNC Bank Arts Center). The Memorial is open 24 hours a day, seven days a week and is free to visit. The Museum is open Tuesday through Saturday, 10:00 am - 4 pm Adult admission is $7.00, seniors and students $5.00, children under ten, veterans and active military personnel are admitted free. For more information and to register, call 732-335-0033 or visit www.njvvmf.org. The Washington Township Historical Society presents a lecture in honor of the township's 275th anniversary on Saturday at 3:00 pm. The year 1738 marked the arrival of a band of German settlers to Middle Valley who had fled Europe to find religious freedom. The year 2013 marks the 275th anniversary of that settlement in Washington Township. To kick off a yearlong celebration, several members of the historical society will present programs on different facets of the township. These will be held on three consecutive Saturdays from 3:00 pm to 4:30 pm at the Washington Township Public Library, E. Springtown Road, Long Valley. The series is free and refreshments will be served. On Saturday, Eileen Stokes will present a PowerPoint presentation on the "Hamlets and Crossroads of Washington Township." This talk will include photos of the areas, both past and present, as well as information about little known areas such as Scrappy Corners. Bruce Springsteen, Southside Johnny Lyon and two prominent West Side Asbury Park musicians will discuss the city’s unique vocal harmony music scene during a special, never-before-seen video presentation being given by the Asbury Park Historical Society on Saturday at 2:00 pm. Bobby Thomas, of the famous Orioles singing group, and well-known West Side vocalist Nicky Addeo joined Springsteen and Lyon on April 2, 2011 in a panel discussion on Asbury Park’s vibrant West Side music scene and how it affected their lives and their own music. The Historical Society will show the video to the public for the first time ever in association with the Light of Day events also planned in Asbury Park that week. “When we speak of Asbury Park’s West Side, we’re referring to the once thriving black business and entertainment thoroughfare of Springwood Avenue. Located just a short walk from the boardwalk and beach, the West Side was a world away culturally,” said Charlie Horner. Horner and his wife, Pam, are recognized by the Rock & Roll Hall of Fame & Museum as premier experts on vocal harmony, or doo wop, music and both the Horners will attend the showing of the video. “Asbury Park’s historically segregated, pre-civil rights-era society gave rise to an area across the tracks that produced unique and noteworthy music. Long before Bruce Springsteen, Southside Johnny and Bon Jovi, the West Side had a jumping musical scene, with nightclubs like Leo Karp’s Turf Club, Cuba’s the Madonna Club, the Orchid Club, and Big Bills, forming the foundation for Asbury Park’s later musical glory. As we honor Asbury Park’s musical legacy, we must remember its socially diverse roots,” Charlie Horner said. In the video, both Springsteen and Lyon discuss the influence the West Side musical scene had on their own careers. Author Daniel Wolff moderated the panel discussion. "Going Places: A Brief History of Transportation in Lambertville" will be presented as part of the Lambertville Historical Society's annual meeting on Sunday beginning at 2:00 pm in the Justice Center (Acme), 25 South Union Street, Lambertville. Fred Eisinger, a member of the LHS board and urban transit fan, will discuss, with numerous images, the changes in getting around and away from town over the past 300 years. Admission is free and light refreshments will be served. Additional information can be obtained by leaving a message at 609-397-0770, visiting www.lambertvillehistoricalsociety.org, or e-mailing info@lambertvillehistoricalsociety.org. The Tewksbury Historical Society will hold its annual meeting on Sunday at 1:00 pm at the Mountainville Meeting Hall, 60 Water Street, in the Mountainville section of Tewksbury Township. Refreshments will be served. At the annual meeting the membership will vote to elect officers for the position of vice-president and treasurer. Members of the society in good standing are eligible to vote. Immediately following the annual meeting, there will be a lecture on the history of Hamilton Farm by W. Barry Thomson. The meeting and program are open to the public. 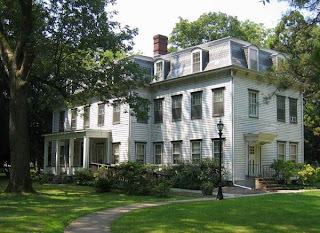 Local historian W. Barry Thomson will talk about the history of the legendary estate of James Cox Brady, "Hamilton Farm," in Peapack-Gladstone and Bedminster Township, with a focus on the estate's landmark stable and coach barn that, since the 1960s, has been headquarters for the United States Equestrian Team. 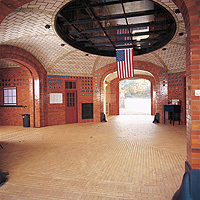 Among other things, the talk will cover the Brady family; the architect and the design and construction of the stable building and the diverse uses of the building over the years, including its functions during World War II, first as a canning factory for foodstuffs sent to England during the Blitz and later as a hospital and rehabilitation center.